One of the most popular crops in La Mancha is vineyard. Besides, it is a crop which needs absolute dedication so winegrowers have to work everyday in a great amount of different tasks. One of these tasks in summer is pruning the grape vines when vine shoots are green. 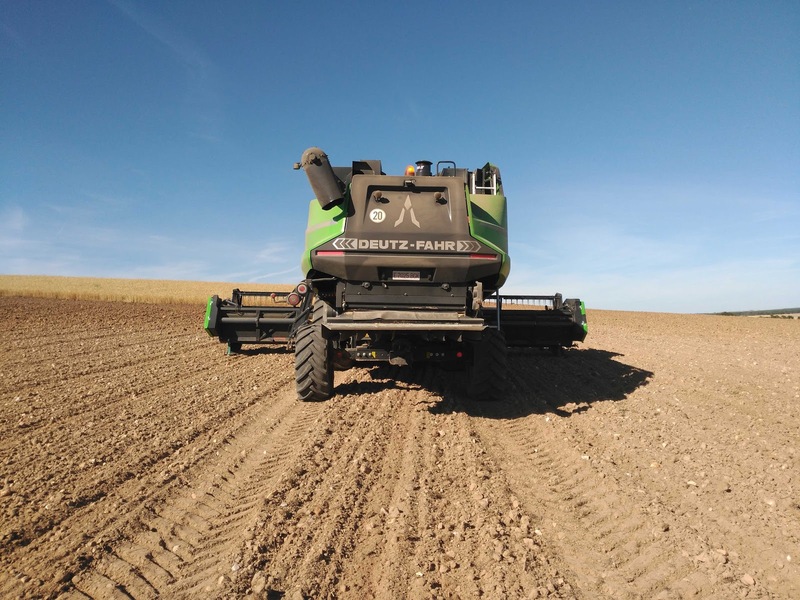 Winegrowers need to reduce vegetation of grape vines because sometimes they can't go into vineyard using a narrow tractor, e. g., in order to carry out phytosanitary treatments. Another few times, winegrowers can do this task and phytosanitary treatments at the same time. They have to avoid problems with windy weather. If vine shoots are very long, they can be broken or fallen from trellis. If vine shoots are short, vintages are cleaner and more comfortable. We visited our great friend Isidro, who is one of the biggest winegrowers of our village. There, we spend a very funny morning seeing his vineyards (they are magnificent) we could see how he worked pruning. When we spoke with him, we could feel he loves his vineyard... we think it is really common among winegrowers. Isidro was working using a pruning machine manufactured by Jumar Agrícola S.L. (S618 -85 model). It is a pruning machine with dual saw (other models are using rotary blandes) that can carry out works of 1.8m long vertical cuts and 85cm long horizontal cuts (at this time, the horizontal cut was not done). All movements can be controlled hydraulically (the cutting elements can turn to adapt to the working position for each winegrower). Finally, it incorporates an automatic safety system in the event of an obstacle. 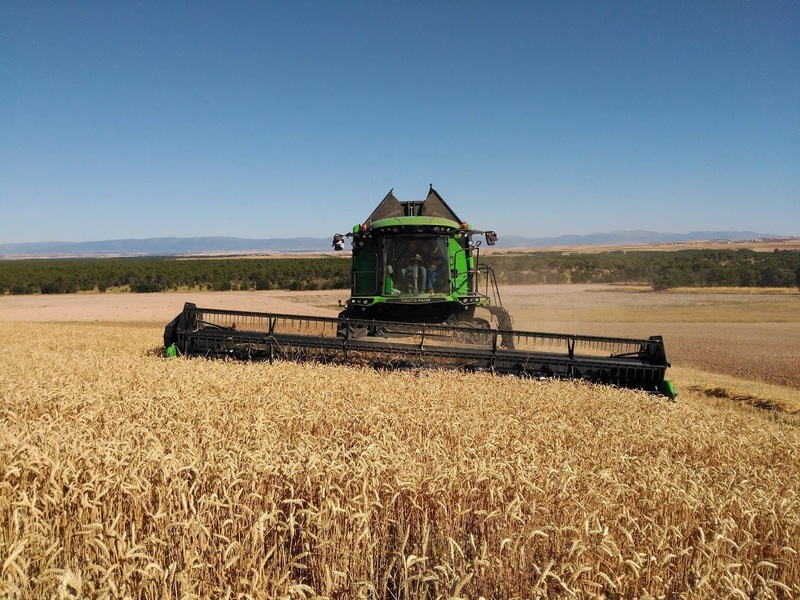 When we visited FIMA 2016 in February, we asked SDF Ibérica staff about the next harvesting demo tour. 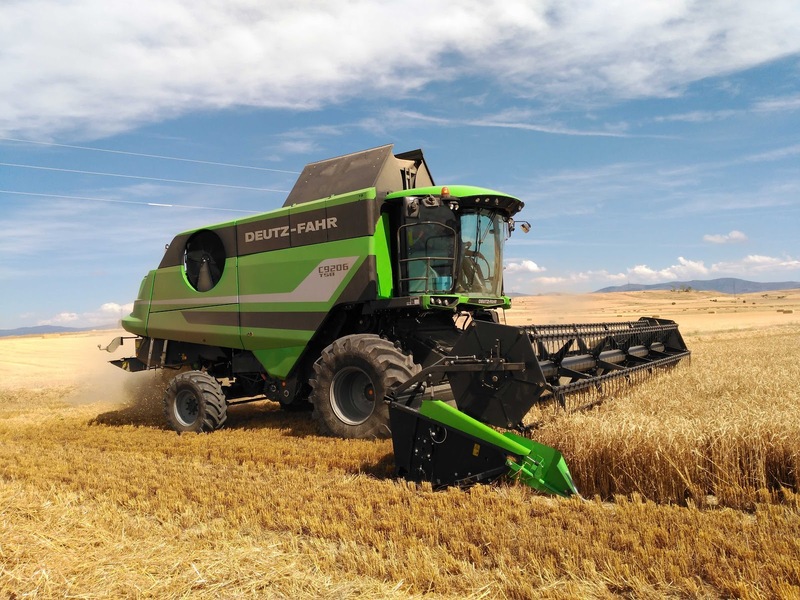 Then, they told us that during summer they will be harvesting with the Deutz-Fahr C9026 TSB combine in the north of Spain and they will be able to give us information about their combines. 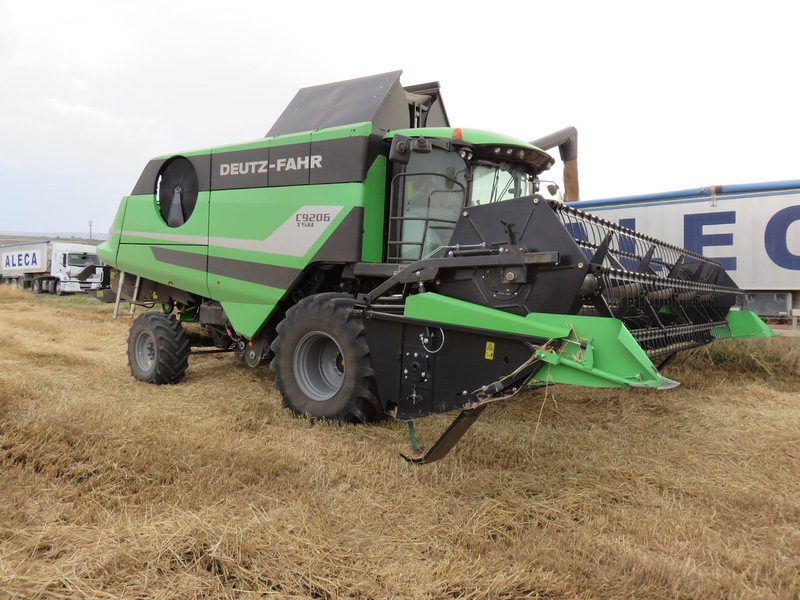 The combine used has been a cutter bar of 7.2m working width, Mercedes Benz 6R1000 7.7 litres 24 valve common rail engine with high injection pressures (2,400 bar) Tier 4 Final (395HP max. power) and the grain tank has a 9,500 litre capacity. 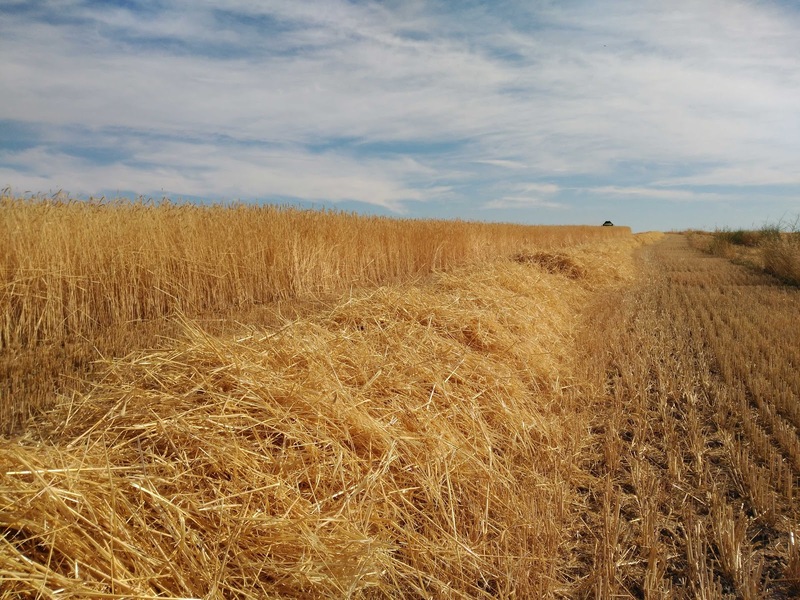 It has chaff spreader, multi-segment concave 14-14-14 (600 mm diameter and 1.27 m wide threshing drum for 5 straw walkers and 1.52 m for 6 straw walkers has 8 threshing rasp bars and 6.32 s.q.m. of total ventilated sieve area), four-wheel drive and rear-view camera. 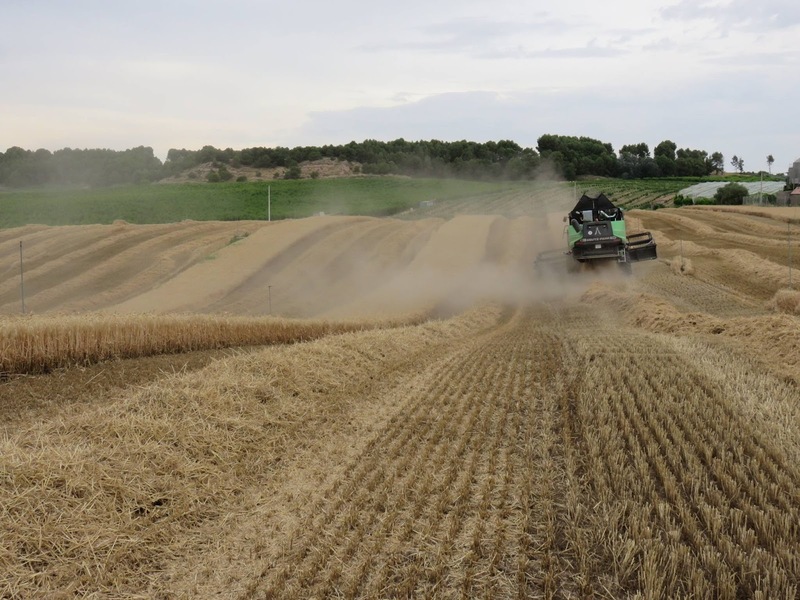 It is Balance model, that keeps the combine harvester stable and leveled automatically compensated for lateral gradients up to 20% and longitudinal gradients up to 6%. In the first week, they were working with the Import Galiano 2012 S.L. a dealer of Lérida. 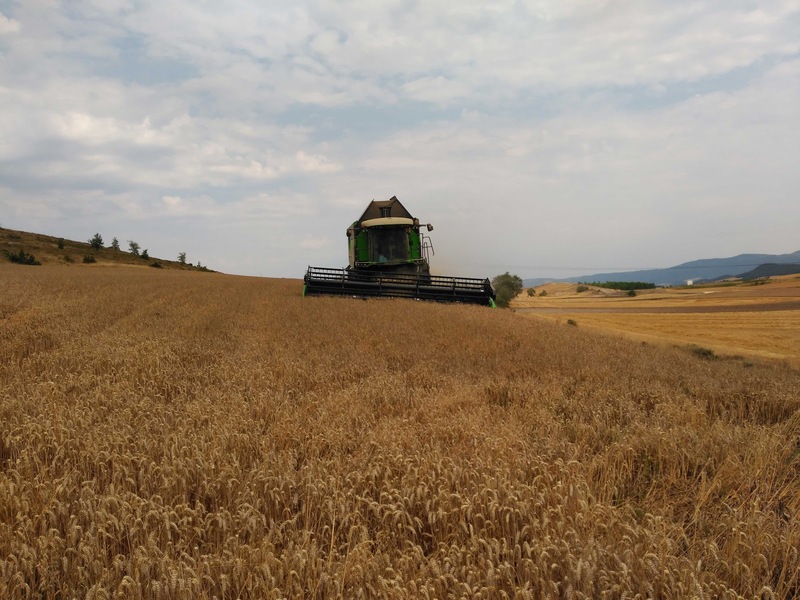 The farmer Juan Sitja (from Terrelameu) harvested irrigated barley and yield was of 9,000 kg/he. Next, they were in Gimenells on 29th and 30th of June. 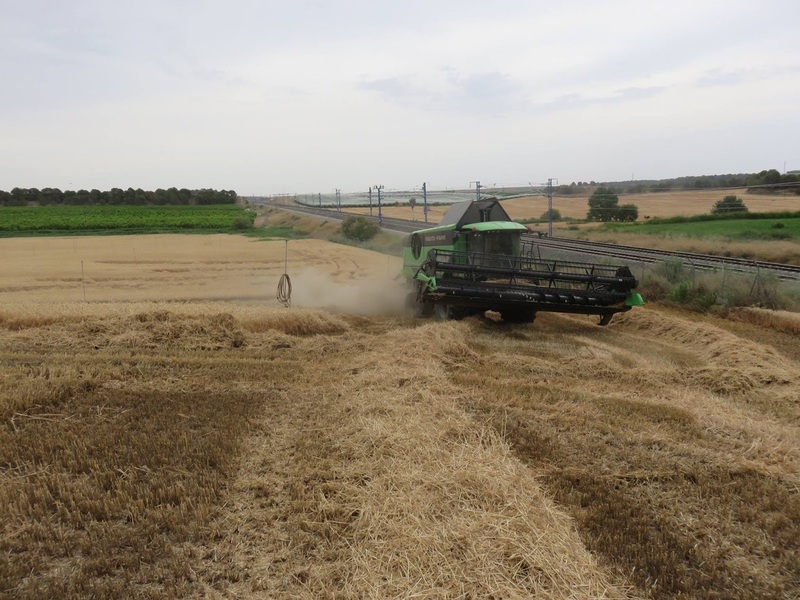 It rained and they could only harvest some hours per day in irregated fields with yields over 8,500 kg/he. 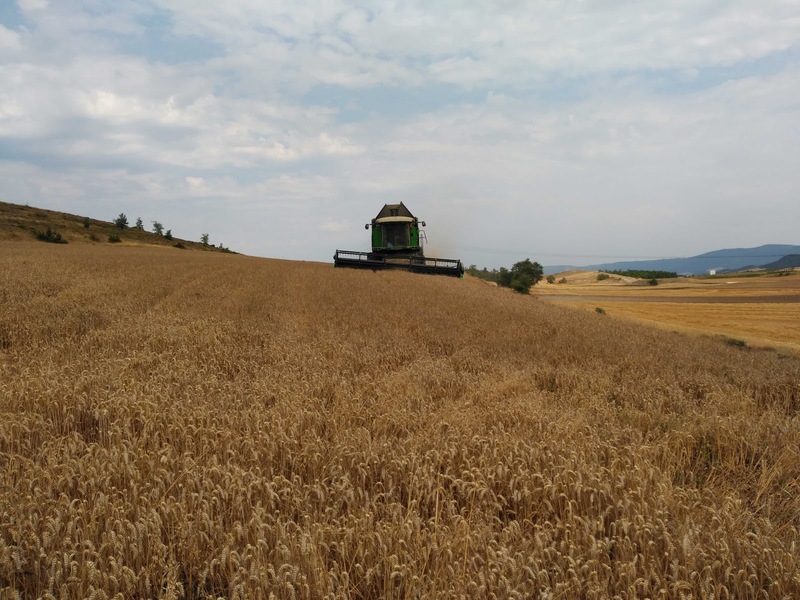 In the second week, the combine visited the Ejea de los Caballeros (Zaragoza) area where Luis Alberto Laborda harvested in Orés (among mountains). 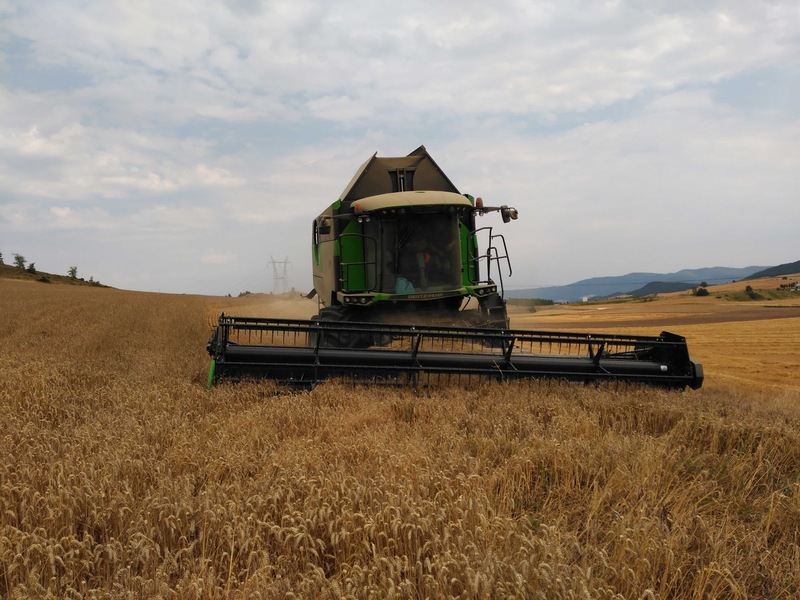 The Demo Tour continued on 6th of July in Tauste with Juan Carlos Cardona harvesting in irrigated fields with yields about 10,000 kg/he. 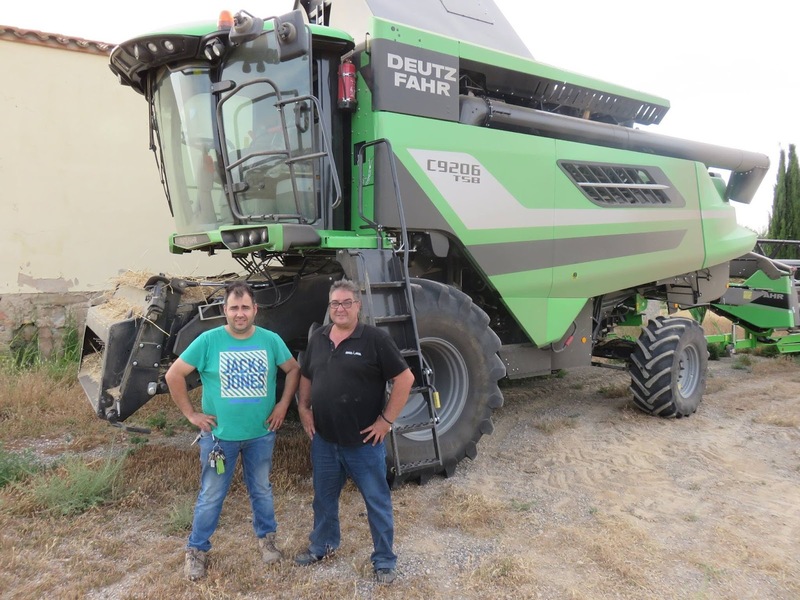 After that, The Demo Tour went to Segovia (Castilla y León) where they worked with Talleres Barrio Gómez dealer in Escalona del Prado Village. 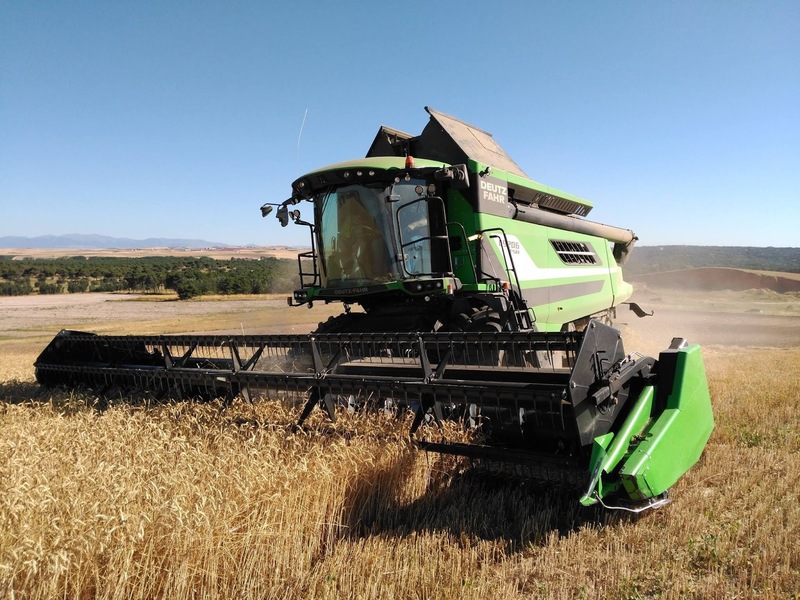 There, Julio Marcos (from Abades) and Roberto Valverde and Roberto Montes (from Hontanares de Eresma) could work with the combine. The average yield in these area was about 4,000 kg/he. 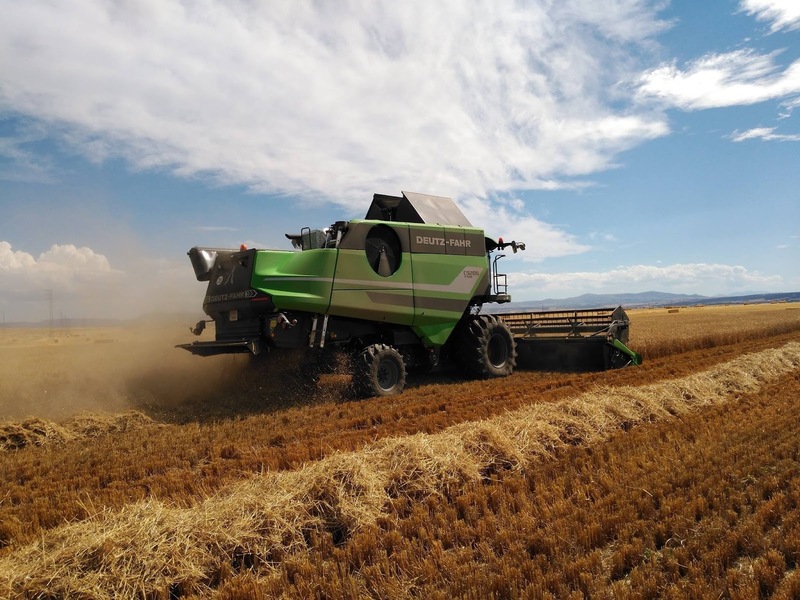 The next week, the Deutz-Fahr C9206 TSB worked in Vallelado (Segovia) with Sebastián del Ser and Fresneda de Cuellar with Antonio Mozo. The yield was 6,000 kg/he. 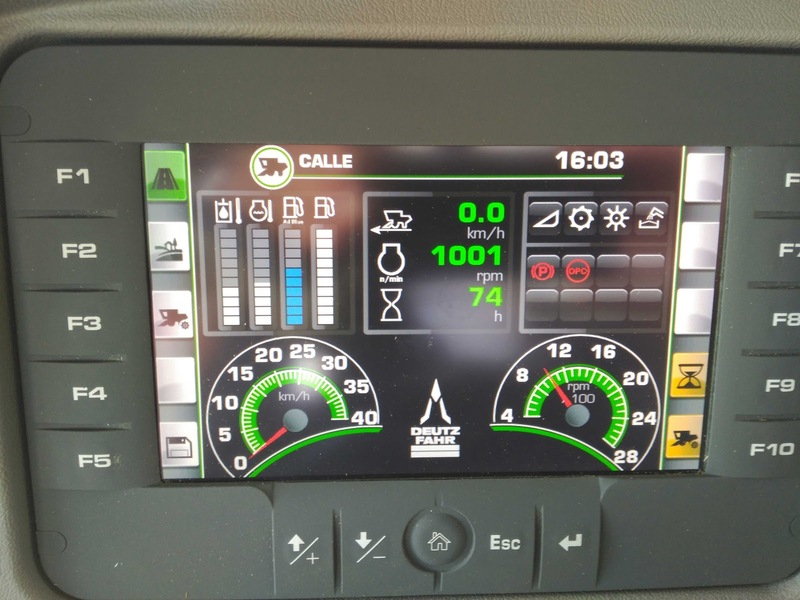 Finally, the Demo Tour travelled to Álava. 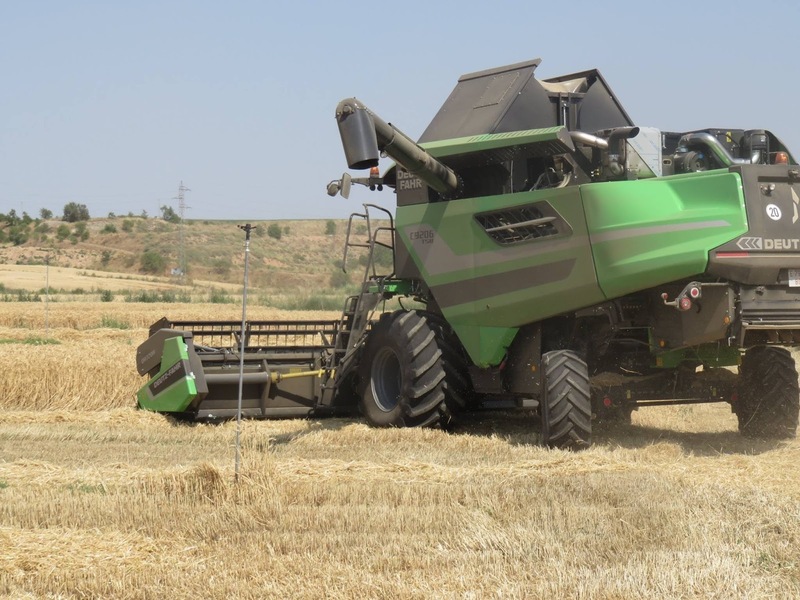 A few farmers could test the combine: Pablo (from Txintxetru), Cesar (from Salvatierra) and Iñaki (from Mendijur). 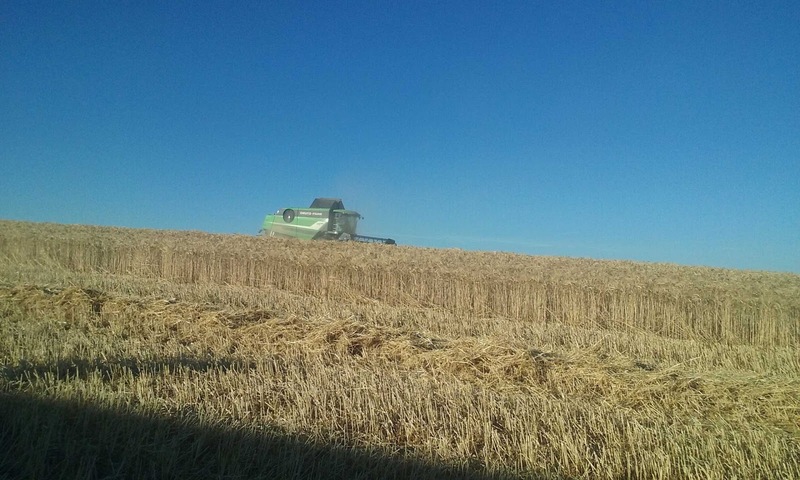 The average yield was about 8,000 kg/he. 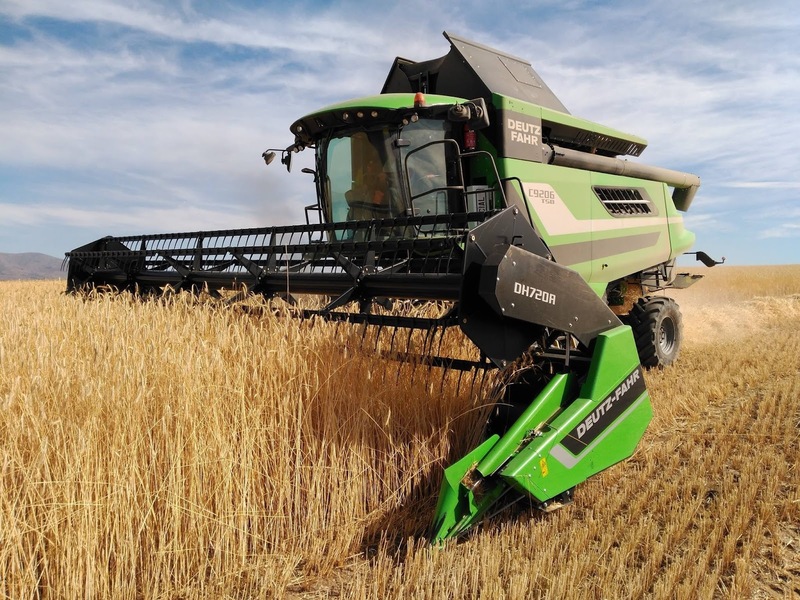 The result was really impressive because the average consumption was of 24.5 l/h and the combine's performance was of 2.6 he/h. 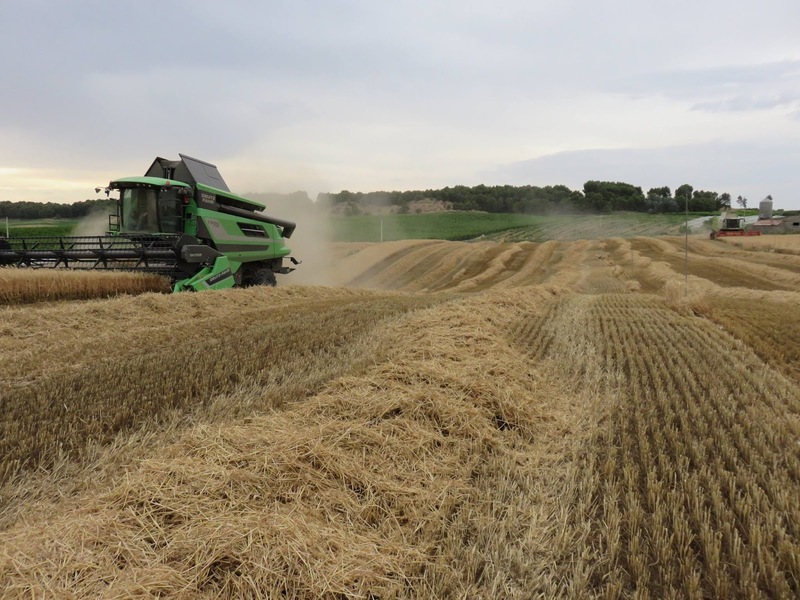 We have to indicate the straw chopper was working 20% of hectares worked. 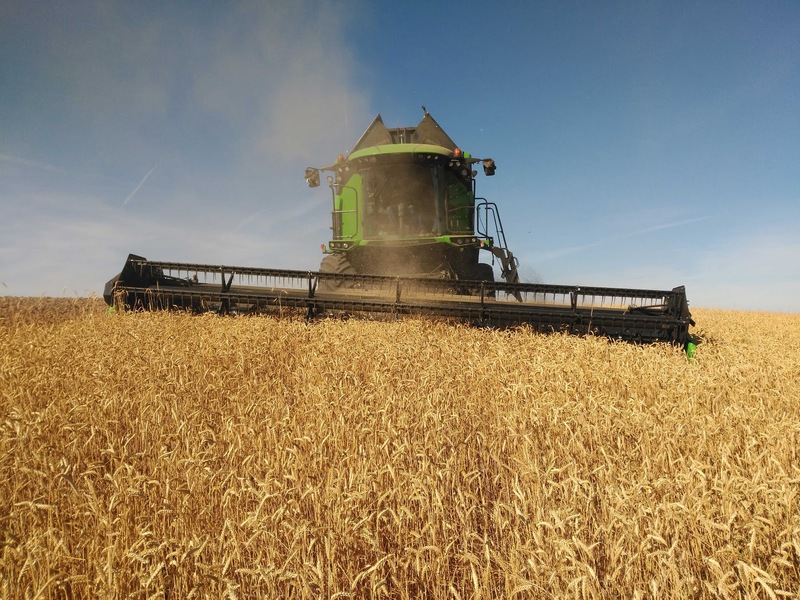 You have to know the combine is not working 100% in this type of tests because drivers need to adapt it in the first hours. 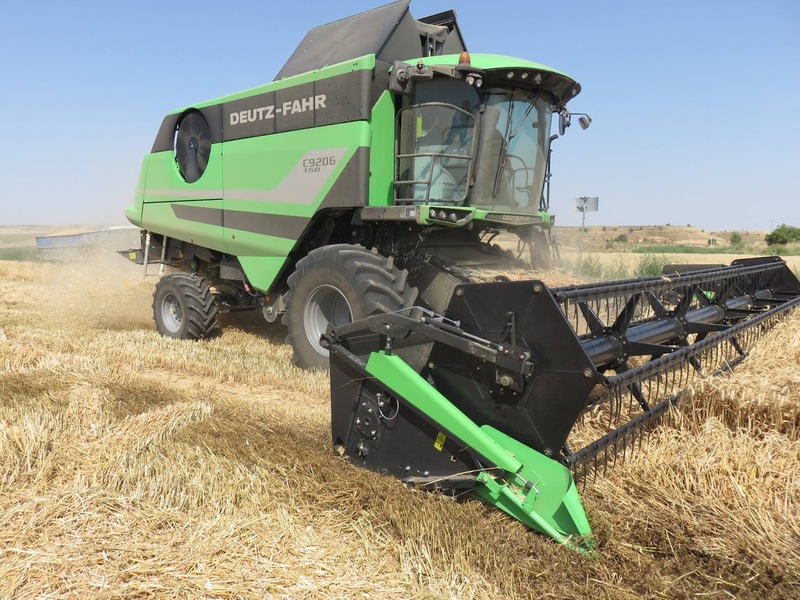 The most significant data about the test were gotten with De la Vara Bros. becuase they are proffesional harvesting farmers using Deutz-Fahr combines and they could work three consecutive days... in this case, you can see the performance was of 3he/h.